A donation of only N$980 (€70, US$80) = one child for one programme. Click here for our full range of what your donation can achieve! 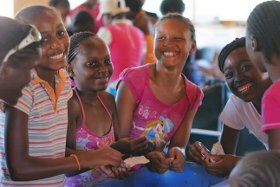 Registered in Namibia as a non-profit trust, NaDEET is a vibrant environmental education organisation. At the core of NaDEET’s programmes is our environmental education centre located on the NamibRand Nature Reserve. Children and adult participants learn first-hand about sustainable living, biodiversity and the balance between humans and the environment. Our environmental literacy and outreach programmes complement the Centre’s activities and expand its reach nationwide. Since 2014, NaDEET has a small head office in Swakopmund as is soon to launch the new NaDEET Urban Sustainability Centre. “Closing the gap between learning for the environment and practicing for the environment”- were the words spoken by Hon. Deputy Minister of Education Anna Hipondoka to congratulate NaDEET in her keynote address at the celebration event in Windhoek. 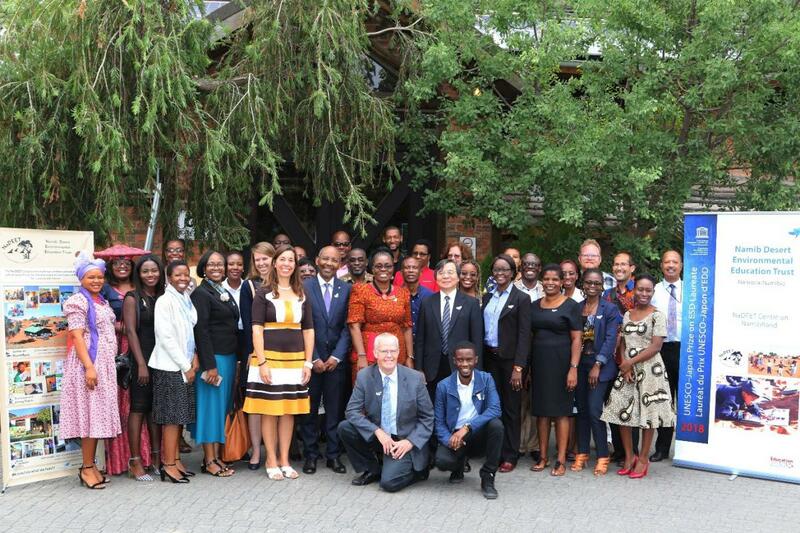 With the 2017 prize winner Sihlengeni Primary School from Zimbabwe, the event brought together international and local EE/ESD stakeholders to celebrate and share ideas. After the celebration, a fortunate group of 20 delegates travelled to NaDEET Centre for a two-day hands-on learning experience. Read here the reflections of one of the participants. The Urban Sustainability Centre was buzzing with life when it hosted the Westside High School Environmental Club for the first official programmes of the year. 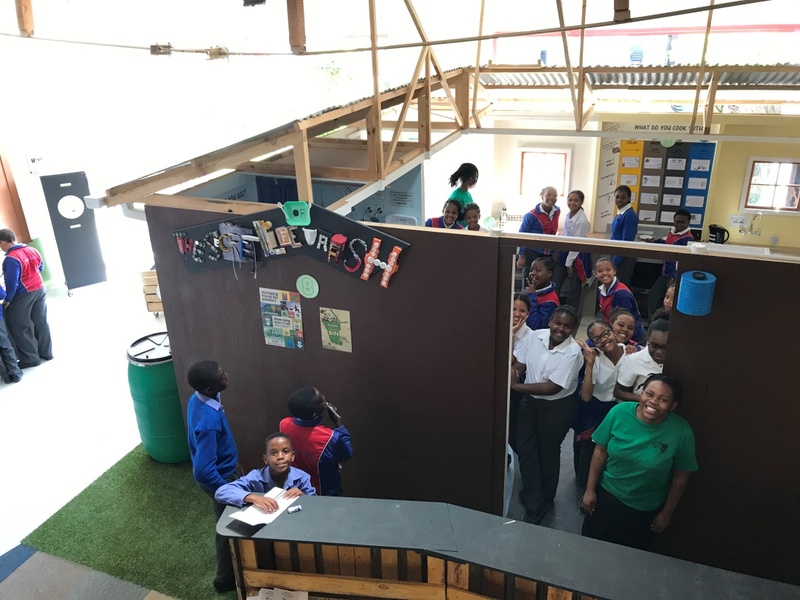 Learners from grades 4-7 were excited to try out the new activity stations in the Sustainable Activity House during the half day programmes that were hosted over 2 days. “NaDEET is a very nice place, we enjoyed the company and the staff is phenomenal. I enjoyed the shower the most, now I know I can use a cup to brush my teeth” said a grade 7 learner at the end of her visit.